Camp is for children ages 5-12. Limited Scholarships are available. 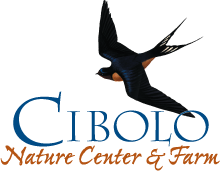 Please contact nature@cibolo.org for application/details. This is a state licensed camp where all counselors are trained in first aid and safety as well as the ecosystems of the park. 2019 Nature and Art Campers register HERE. Little Explorers Camp Registration. Click HERE. If you encounter any difficulty with your online registration please call Cindy at 830.249.4616.